Advanced Body Scan of Texas NOW OPEN! Advanced Body Scan opened in Oklahoma City nearly 10 years ago and has helped provide life saving information for over 50,000 Oklahomans. We are excited to announce we are extending this service to Texas with our newest location in Plano, Texas! Advanced Body Scan of Texas will be offering Heart Scans, Lung Scan, Body Scans (as recommended by physician), and Virtual Colonoscopies to the Dallas/Fort Worth area. These scans will include a doctor’s consultation and are read by a licensed radiologist. David Mendelson, MD, MS, FACEP grew up In Portland, Oregon where he attended the University of Oregon and Portland State University for Graduate school. He then studied medicine at Oregon Health Sciences University for Medical School. Following medical school, Dr. Mendelson completed a residency in Emergency Medicine in 1993 from Thomas Jefferson University Hospital in Philadelphia and then completed his fellowship in Administration in San Francisco in 1995 and moved to Dallas, TX in 1996. From 1996 to 2016 he worked for a national practice management company based out of Dallas where he eventually became vice president. During this time, he had many accomplishments which included establishing the physician education program for 5,000 physicians and creating the risk program for Emergency Medicine for the Emergency Medicine wing of Envision Health. 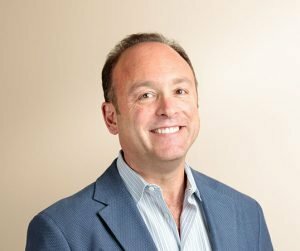 After leaving Envision Health in 2016, Dr. Mendelson became the Chief Medical officer of Community Hospital Corporation based out of Plano, Texas. After 25 years of caring for patients with emergencies caused by undiagnosed heart disease, cancer, and other fatal processes, Dr. Mendelson decided to devote most of his time helping people find and prevent diseases earlier when treatment is far more effective. With this in mind he joined Advanced Body Scan of Texas in December of 2018 as the Medical Director. In addition to his work at Advanced Body Scan, Dr. Mendelson still practices emergency medicine at several hospitals in Texas and maintains his board certification. On a personal note, Dr. Mendelson is married to his wife Jennifer, and has 4 children between the ages of 14 and 21. He is passionate about cooking, teaching and traveling. He likes to hunt and fish, ride motorcycles and horses. HIs family has horses, chickens and dogs and loves to stay home and cook together as a family. Dr. Sparks, graduated with distinction in 2009 from the University of Oklahoma College of Medicine. He then went on to complete an Internship at John Peter Smith Hospital in Fort Worth from 2009-2010. After his internship, Dr. Sparks completed his Diagnostic Radiology Residency at Baylor College of Medicine in Houston from 2010-2014. Following his residency, Dr. Sparks completed a Interventional Radiology Fellowship at Georgetown University in Washington D.C. from 2014-2015. Dr. Sparks has practiced medicine and done rotations at several prestigious medical facilities including: Georgetown University Hospital, Washington Hospital Center, Texas Medical Center, Ben Taub General Hospital, MD Anderson Cancer Center, Texas Children’s Hospital, St. Luke’s Hospital / Texas Heart Institute, and the Michael E Debakey VA Medical Center. Most recently in 2015, Dr. Sparks became board certified by the American Board of Radiology. These scans are performed on our state-of-the-art, high-tech GE Revolution EVO scanner. The design of Revolution EVO is made for institutions that are unable to sacrifice advanced capabilities such as high resolution for daily productivity. It is well suited for those who need to provide the lowest dose possible. With this technology we can detect irregularities in your body, months or even years, before you would ever experience symptoms. If you are up against silent killers, such as heart disease or cancer, early detection exponentially increases your chances of survival. Revolution EVO provides state of the art high resolution imaging with 0.28 mm spatial resolution. Designed to reduce noise levels, improve low-contrast detectability and reduce dose by up to 82%2 in routine imaging for all exams and all patients. The new Clarity Imaging System provides up to 100% better spatial resolution over older scanners. Open CT to reduce claustrophobia. When you turn to us, you can be confident that your concerns will be handled by highly qualified professionals. As we age, it becomes more and more necessary for us to make wise decisions regarding our health. This is crucial for ensuring a longer and better quality of life. Taking charge of our health means detecting and treating problems before they have the chance to get worse. A body scan is one of the best means by which we can detect problems such as cancer and heart disease early on. 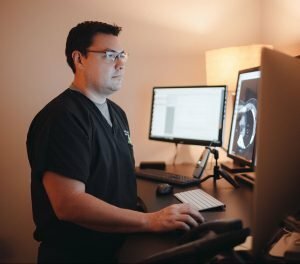 Over the years, the technology involved in these scans has come a long way, and we utilize this technology in our Plano, Texas body scanning services. Computed Tomography (CT) scans are considered one of the top five medical developments in the last 40 years. Our GE Revolution EVO CT scanner is an advanced variation of the conventional computed tomography scan, improving upon it in various ways. At Advanced Body Scan of Texas, we can quickly make a comprehensive detection of disease, which will result in more effective treatment. We can also detect signs of disease before they arise, so that they can be treated before they develop. Our complete body scanning services are effective because we use some of the most cutting edge technologies available in the industry. Our GE Revolution EVO CT scanner scans the body, taking images at extremely high speeds, and can even zoom in on various areas to ensure a more accurate study. The GE Revolution EVO CT scanner was designed for speed, and can efficiently detect calcium in the coronary arteries. Pancreatic Cancer: The pancreas is an organ located deep within the body, making early detection of pancreatic cancer via a physical examination almost impossible. Our GE Revolution EVO CT scanner can non-invasively detect pancreatic cancer early. Abdominal Aortic Aneurysm: When this tears or ruptures, fatal internal bleeding can occur. Blood clots are also a major risk, as they can block blood flow to the abdominal organs, kidneys, legs, and even result in stroke or heart attack. Thoracic Aortic Aneurysm: This can cause fatal internal bleeding, and force blood away from other organs, causing kidney damage, stroke, heart attack, or death. Coronary Artery Disease: This is a progressive disease caused by the buildup of cholesterol and plaque within the arteries that supply blood to the heart. Heart Attack: This occurs when the heart is deprived of oxygen. In a short time, heart muscle cells can die, resulting in permanent heart damage. Lung Cancer: We can detect tumors resulting from the uncontrolled growth of abnormal lung cells. Emphysema: This disease results in the degradation of small air sacs within the lungs, reducing the amount of oxygen that can enter the bloodstream. Hiatal Hernia: This is the bulging of the stomach into the chest through the hiatus. Brain Cancer: Brain tumors can result from the uncontrolled growth of abnormal brain cells, destroying the brain and its functions. Alzheimer’s: A form of dementia resulting in severe memory loss and the degradation of normal cognitive skills. Parkinson’s: A chronic, degenerative disease that affects the central nervous system and interferes with normal coordination and movement. Our complete body scanning services includes virtual colonoscopies. Modern technology has allowed this process to be conducted without utilizing an invasive scope. Our virtual colonoscopies involve minimal preparation and require no anesthesia. Through the use of our GE Revolution EVO CT scanner, we can get even better results than the optical scope. The procedure is often conducted in under 15 minutes, and there is absolutely no risk of procedural tear or puncture.